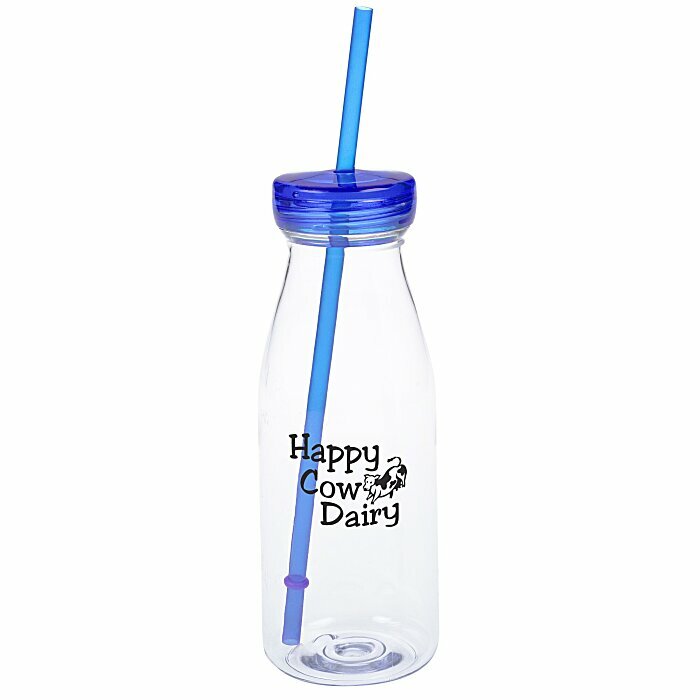 Get custom milk bottle tumblers imprinted for a fast and fun promo – 24HR! 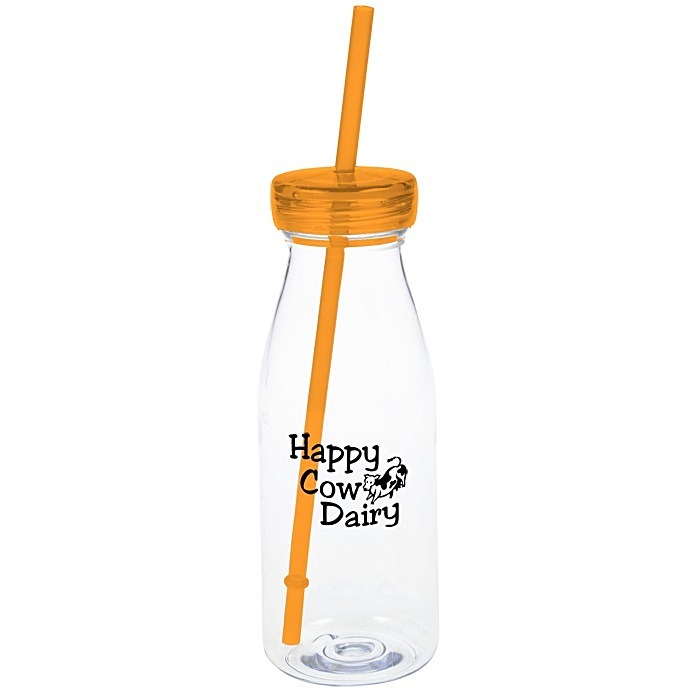 Shaped like an all-American, traditional milk bottle, this tumbler encourages nostalgic smiles. Made of single-wall acrylic that will hold up better than the glass kind. The clear bottle is accented by a colored screw-on lid and matching straw. 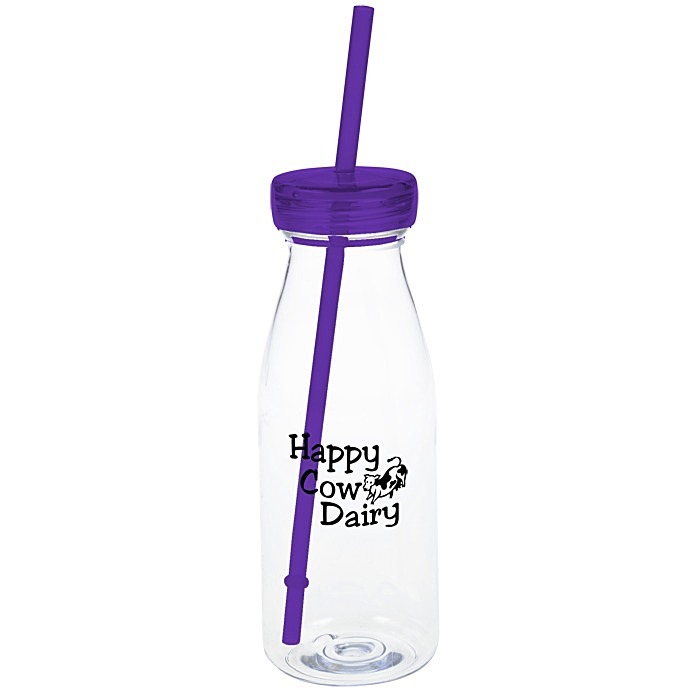 Makes a noteworthy way to serve guests drinks at your next company event. Your price includes a one-color imprint on the front of the bottle.